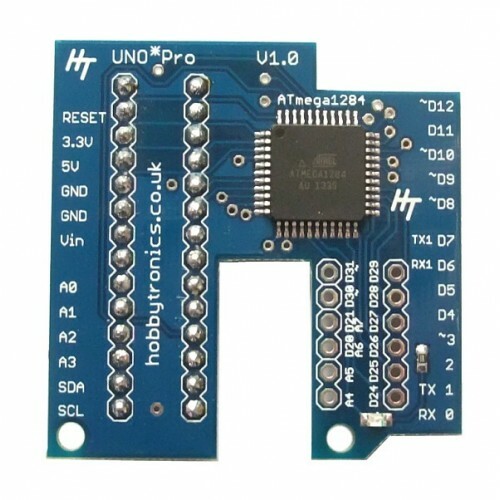 The UNO*Pro is a simple plugin replacement for the existing ATmega328 chip (DIL socket version) and turns your existing UNO (or Duemilanove or Diecimila) into something much closer to a Mega board whilst retaining the UNO form factor and shield compatibility (see below). NOTE: Arduino main board not included. 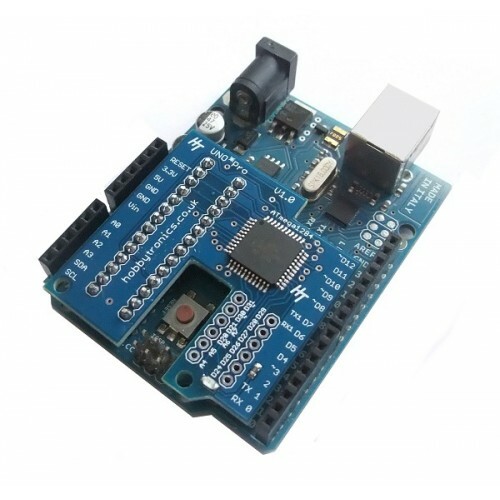 The Arduino UNO is still the best selling Arduino board on the market, and with good reason - there are a vast range of shields available for the UNO board format. 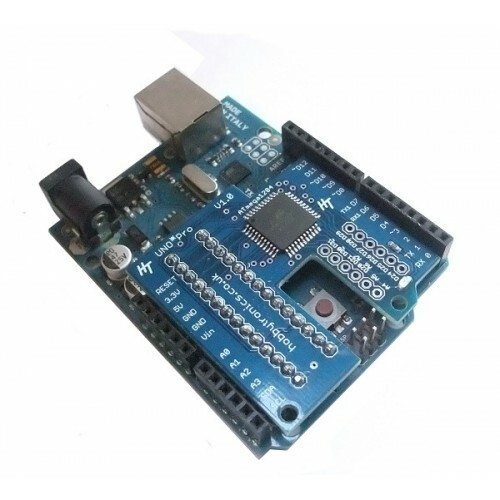 The UNO is still a great development board, but it loses out to its big brother the Arduino Mega2560 in many areas. The Mega has 4x the flash program space, 8x as much RAM and four times as much eeprom storage space. 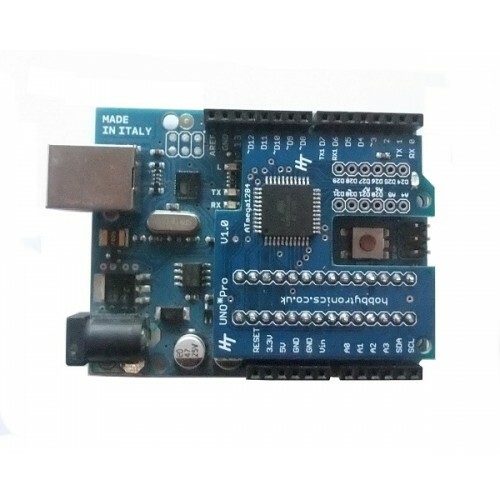 It also has 4 serial ports and many more IO pins, but comes in a larger format and a number of shields are not compatible due to pin changes. 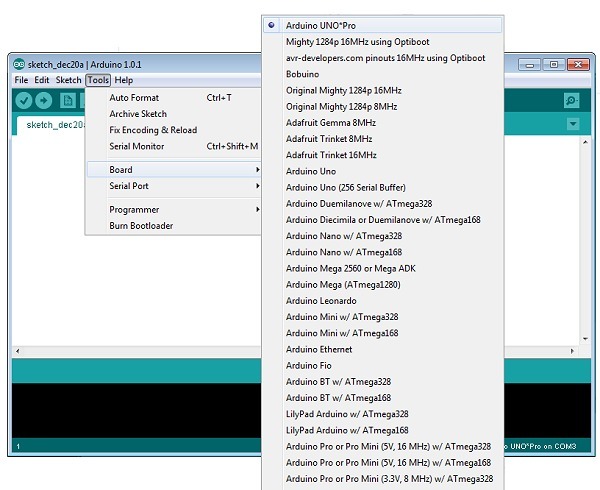 So how can you increase the performance of the Arduino UNO? 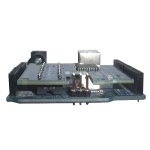 This is where the UNO*Pro upgrade board comes in. 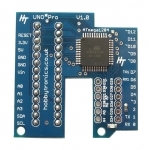 For the most part, the UNO*Pro should be compatible with most shields designed for the Arduino UNO. 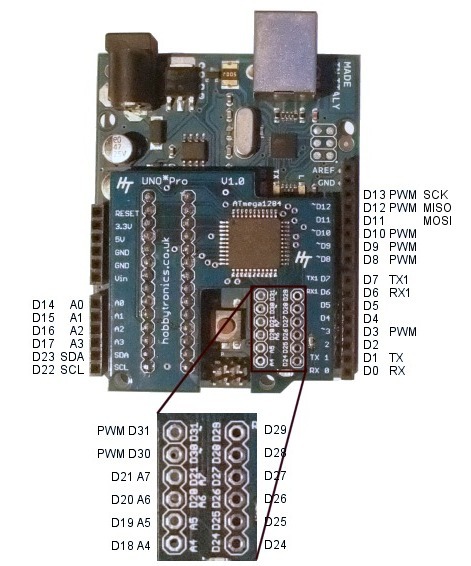 See below for the pinout of the UNO*Pro board and the extra 12 IO pins. 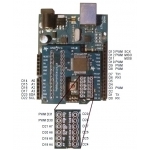 The UNO*Pro is compatable with most of the standard (and third party) Arduino Libraries. 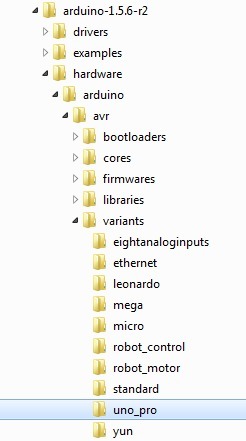 However, some of the libraries have small sections of code for specific chips (e.g. 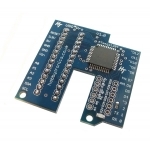 ATmega328, ATmega2560 etc). As the ATmega1284 is not used on any standard Arduino boards these code sections are missing. 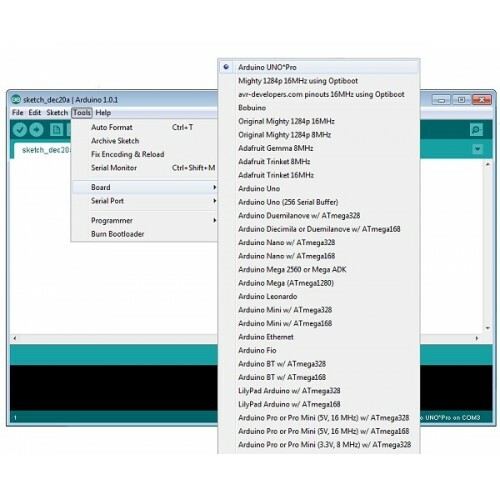 It is easy enough to modify the libraries for the UNO*Pro, and here are the libraries known to be affected. 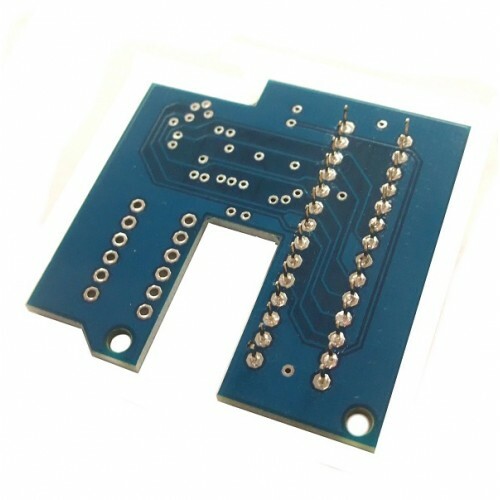 In the "Ethernet/src/utility" directory, file w5100.h there is a section of code thus. 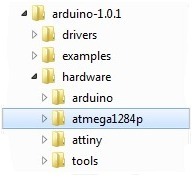 If you are using Arduino 1.0.5 or below then download the Arduino ATmega1284 support files below and copy the atmega1284p directory into your arduino/hardware directory. If you are using Arduino 1.5.5 or later then installation is simpler. Programming your upgraded UNO*Pro board is just the same as before using the normal Arduino IDE software. 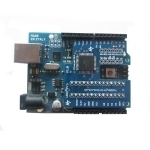 The only difference is that you need to select Arduino UNO*Pro rather than Arduino Uno from the Boards menu. Start up the Arduino IDE and select Arduino UNO*Pro.